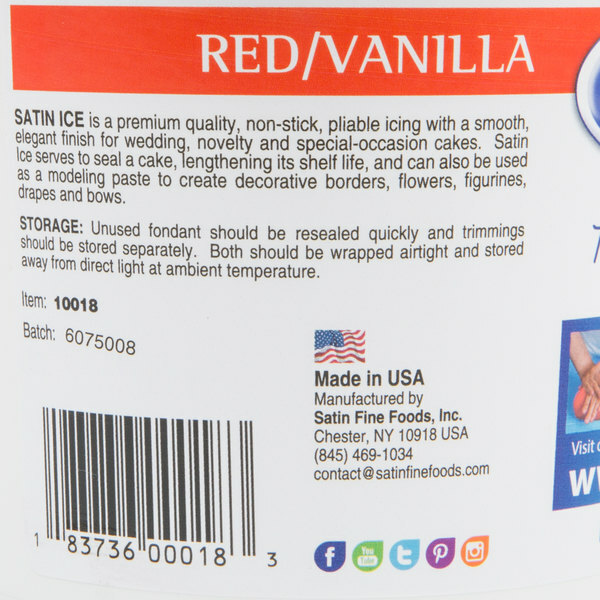 Transform your cakes into elegant culinary creations with this Satin Ice 10018 red vanilla rolled fondant icing! 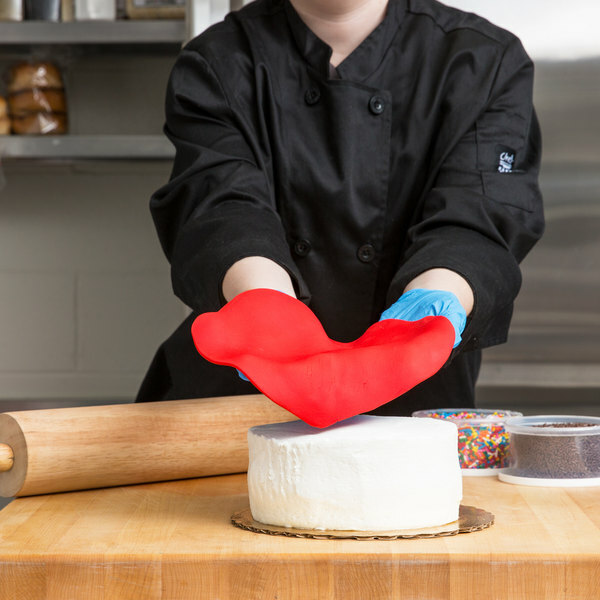 This fondant is perfect for covering wedding cakes, birthday cakes, and custom novelty cakes with a satin-smooth finish. It enhances any dessert with a classic red color and a sweet vanilla flavor that does not overpower the taste of the cakes, cookies, and pastries themselves. Extremely versatile, its dough-like consistency can be molded, twisted, shaped, and sculpted into decorative flowers, bows, and character figures. Satin Ice is my go to fondant. I colored my own fondant for years but the consistency is so much better if you buy the fondant already colored. What I like best about satin ice fondant is how easy it is to roll out. Not only is it easy to roll, it is also easy to work with all together. It does not crack easily and that makes the process of placing it on cakes much simpler. Love the brightness of red in the fondant. So mush easier to use versus make red. The texture was perfect and not to sticky. Highly recommend! 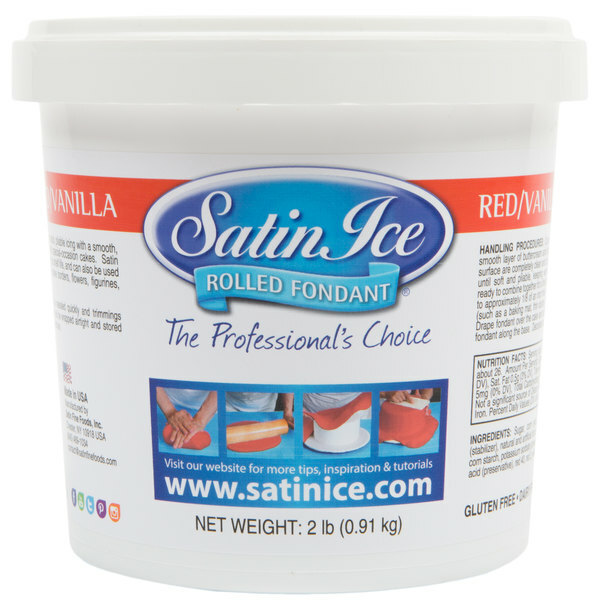 The Satin Ice Red Vanilla Rolled Fondant Icing is one of the best fondants on the market. It's easy to work with, the color is true, it's easy to roll and tastes great! 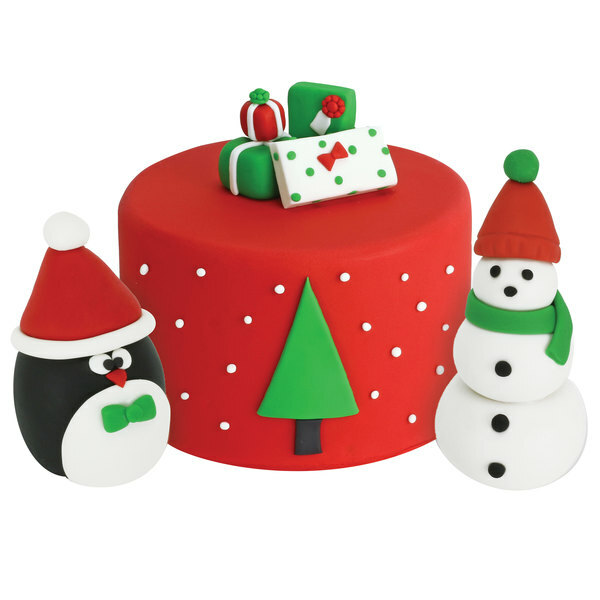 This fondant is the PERFECT shade of bright red for almost all cake decoration. I love pre-dyed fondant, it saves a lot of time. 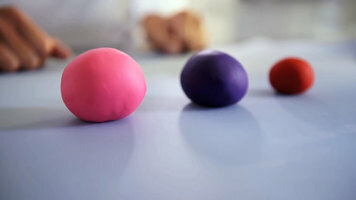 It's easy to mix with gel food colors and/or white fondant to achieve a different color. It's easy to knead, and roll too! The taste is basic for a fondant, there is no weird taste from the red dye, which is great! There is no other brand of premade colored fondant that I'll use. The red is a bright and true red. It is not a dark red, but can very easily be colored to be darker. And because its already a nice red, it takes almost not food coloring to make it a different red shade. 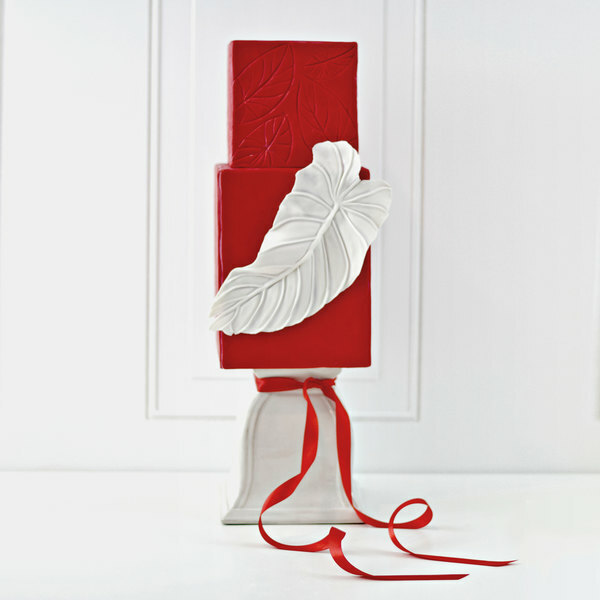 This is a great red color - the fondant rolls smoothly without a problem and the color is excellent. So glad I'm able to buy in the colors I need so I don't have to mix anymore. Satin Ice is awesome! 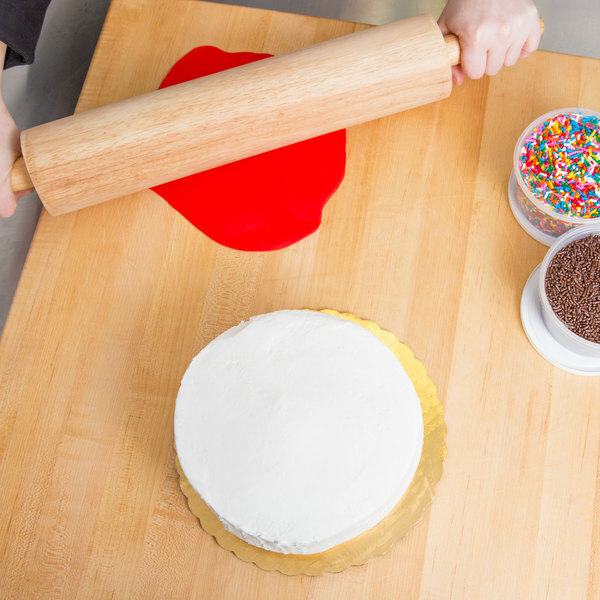 This is such an easy way to add red on cakes and other treats. It is so much easier than trying to get the color just right. This is already done for you right out of the tub. The vanilla flavor is good too. This Satin Ice 10018 2 lb. Red Vanilla Rolled Fondant Icing was very disappointing it was very sticky to mat even with cornstarch. The appearance look old and had too much color this was waste. Love this brand of fondant and the red colour did not disappoint! So much easier than colouring a batch, Im glad I bought this separate from my usual 20lb white. 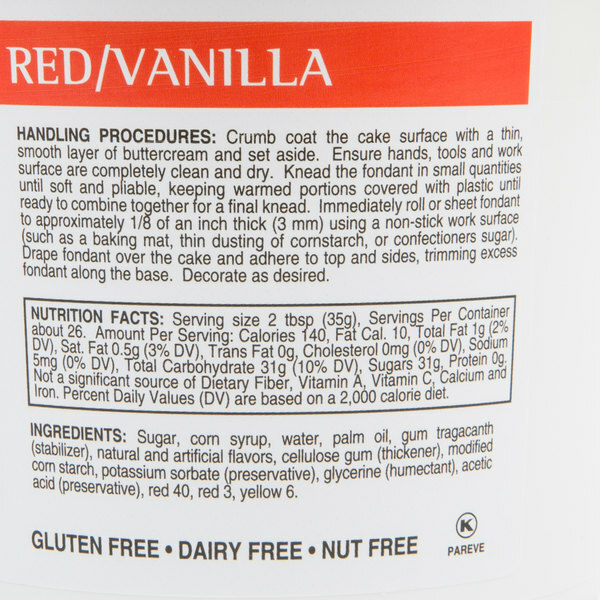 This is a true vibrant red color that is nearly impossible to reach by simply adding gel color to white fondant! I'm so thankful for this color. It saves me tons of time mixing and mixing trying to get the perfect red!